Over the past five years Elks Landscaping has ventured out of New Bern into the Morehead City Atlantic Beach area. A good number of our Craven County customers have vacation homes at the beach that they have requested to be maintained at the same level of service as there homes. After taking on a handful of customers in the beach area we started getting requests from other property owners in the area. We currently have crews that takes care of Beach Homes, Condos, Hotels, shopping centers and marinas. Our Crew Leaders check of our quality control sheet during each visit and our Division managers check on each job three times per month to make sure quality is top notch and all customers are happy. 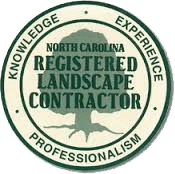 If you live in or around one of these cities and are looking for the best lawn care or landscape design services in the area, make sure to call Elks Lawn Care at 252-229-0677 or just email us.